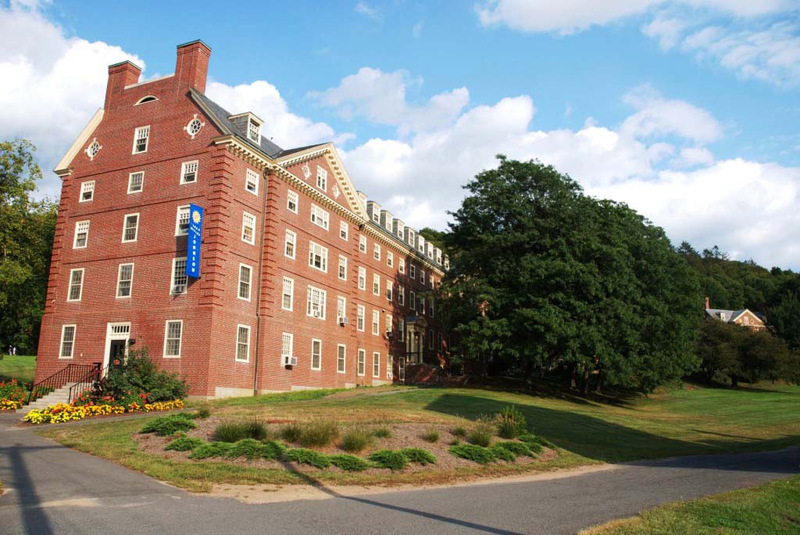 Johnson House is one of ten structures that comprise the Northeast Residential Area of the University of Massachusetts Amherst, and the last part of the quadrangle to be completed. It was built in 1959 to the design of Louis Warren Ross, the same architect who had done the first building of the quadrangle 24 years earlier. Johnson House (1959) was the last building in the north residential area to be completed and follows in the neo-Georgian style of the earlier buildings in the complex. The siting of the building completed the eastern edge of the complex by mirroring Thatcher House to the south. 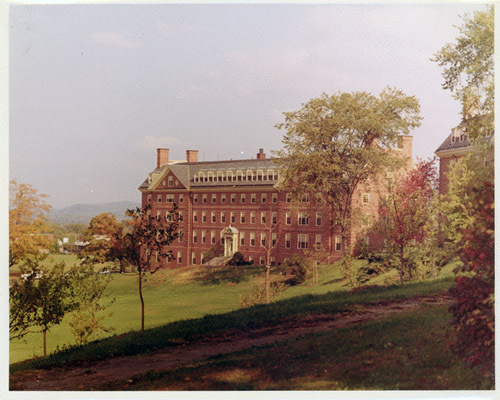 The line of symmetry for the complex runs from Lewis House to Arnold House across the open quadrangle (extant). A new bituminous concrete path was added to the quadrangle leading diagonally from Crabtree House to the southern end of Johnson House after 1969. To the east, Thatcher Way retains its historic alignment, arcing along the eastern façade of the buildings that form the edge of the complex and splitting near Lewis House. A comparison of the existing conditions with historic photographs of Johnson House indicates that vegetation immediately surrounding building has changed from the time of its construction. Changes include the introduction of deciduous trees to the slope along the western façade that block formerly prominent views of the building entrance from the quadrangle below and the loss of evergreen shrubs that once framed the principal building entrance on the western façade.